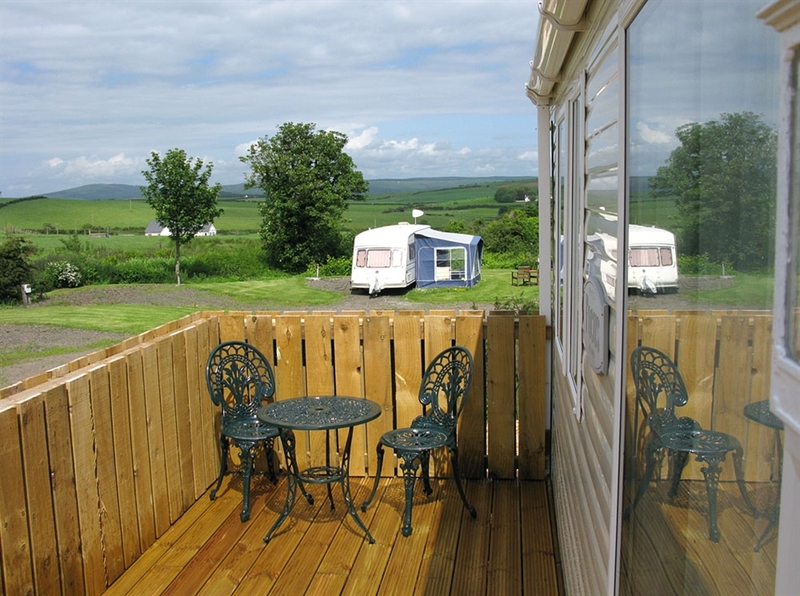 Our Caravan Holiday Home has panoramic views over the countryside from the lounge and patio area. 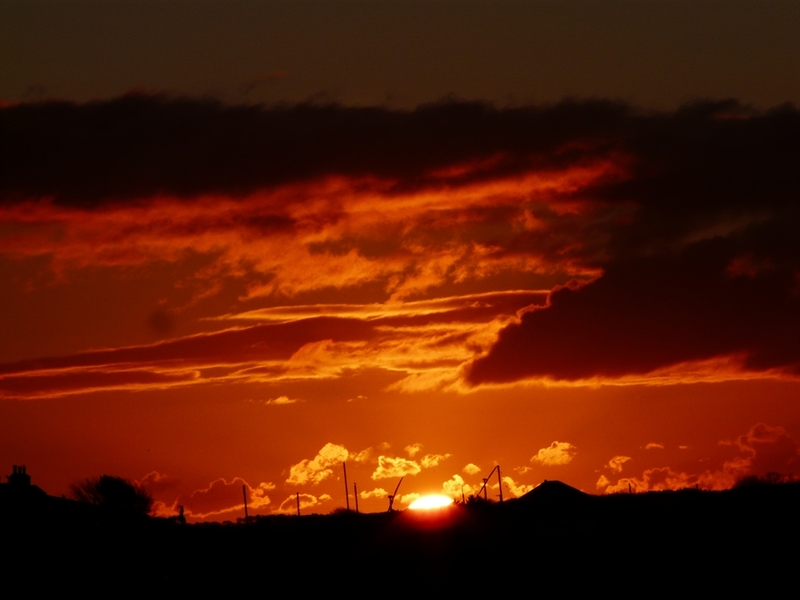 Rural, private and tranquil with exceptional views and facilities! 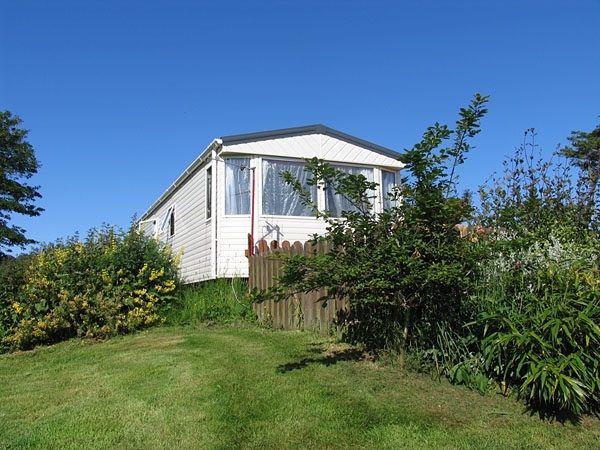 We consider this an ideal option for up to 4 adults and 4 children and perfect for two adults and one to four children. 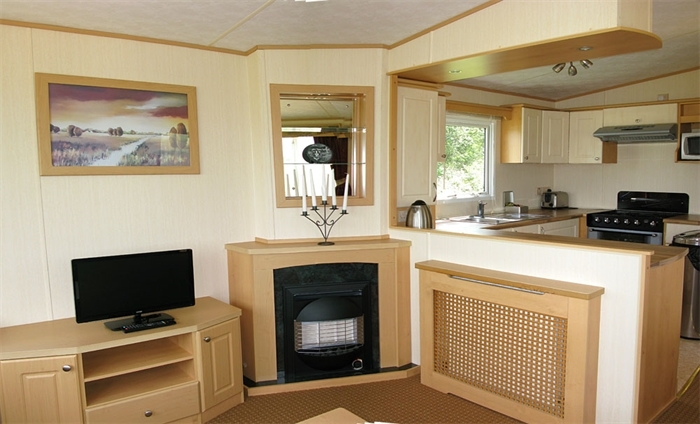 Our luxury caravan offers accommodation for six people, maximum four adults. 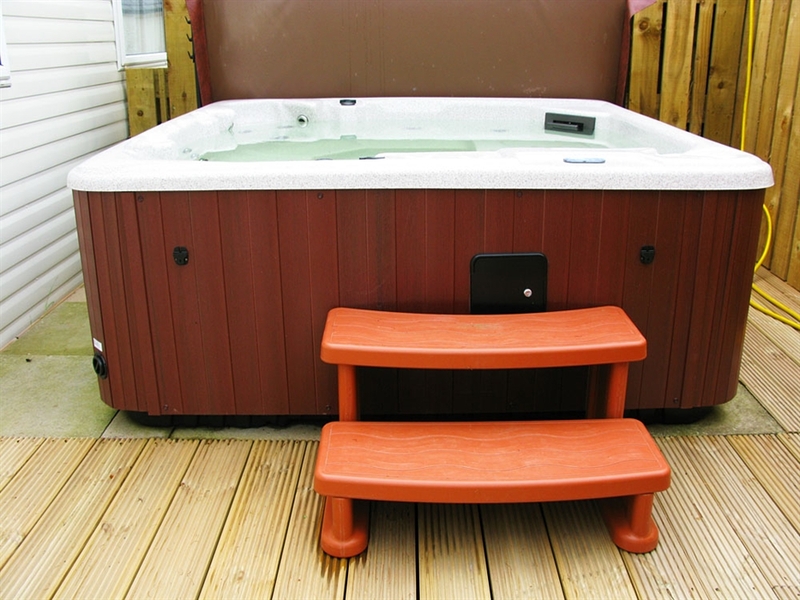 It also offers free Wi-Fi as well as a hot tub with privacy fencing on the decking! 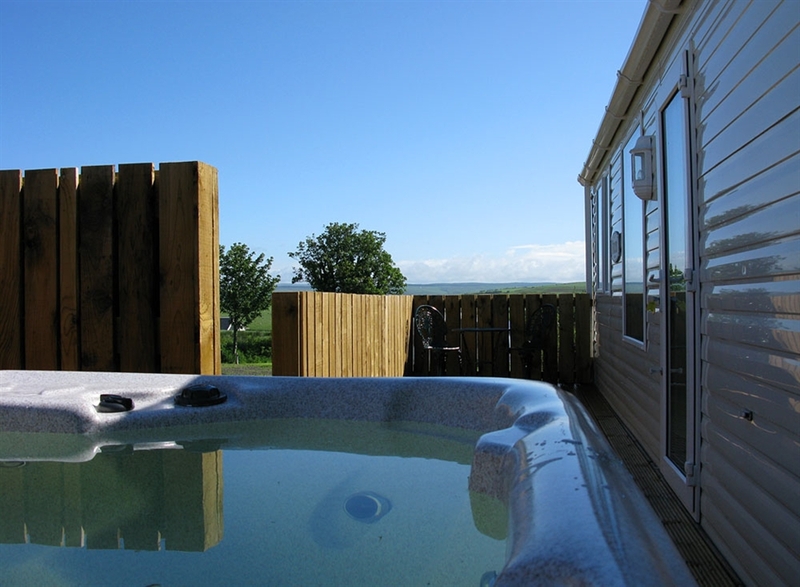 At one end of the patio decking is a hot tub for your exclusive use and you can also enjoy views over the hills while the wood panneling provides privacy. 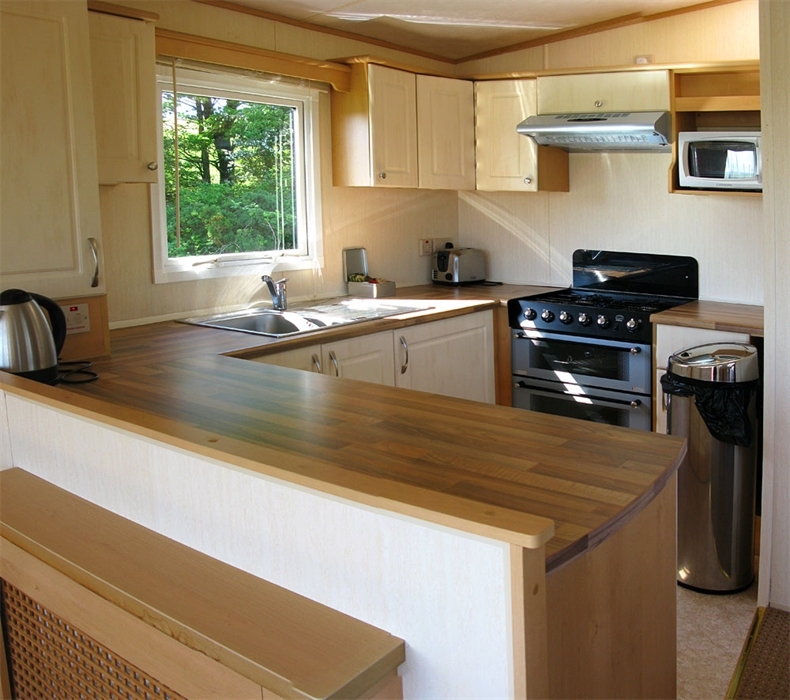 The caravan has a double bedroom, two twin bedrooms, wc and shower room, central heated and double glazed! Cosy even in the coldest weather! There is also a sofa bed in the lounge giving a total sleeping capacity of 8. We consider this an ideal option for up to 4 adults and 4 children and perfect for two adults and one to four children. 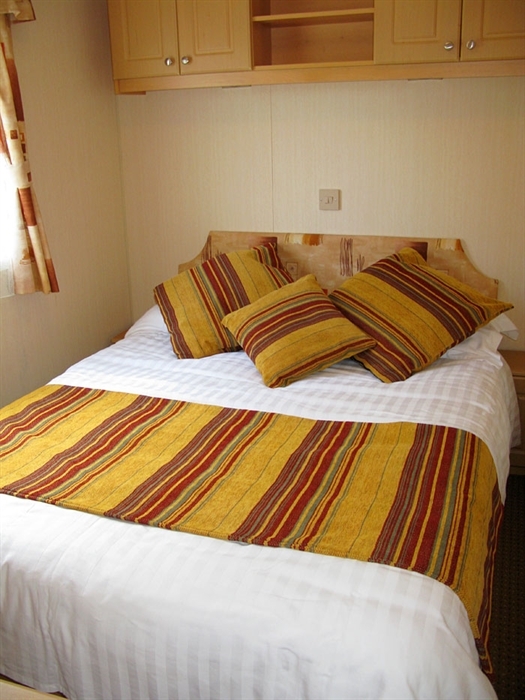 We provide a welcome pack, all bed linen and towels and we also supply bathrobes and slippers for the hot tub users. All gas and electricity is included in our price. 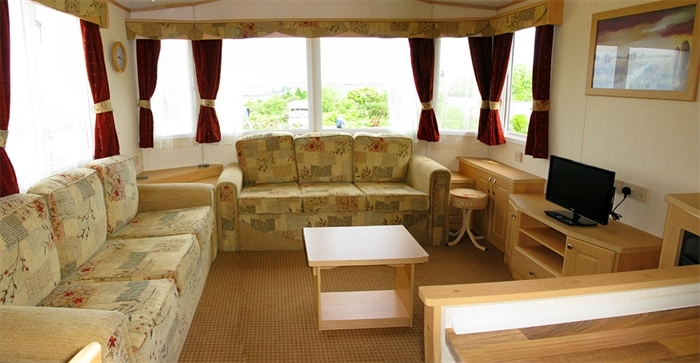 There is a television, dvd player, free wifi, fridge, freezer, microwave and washing machine.